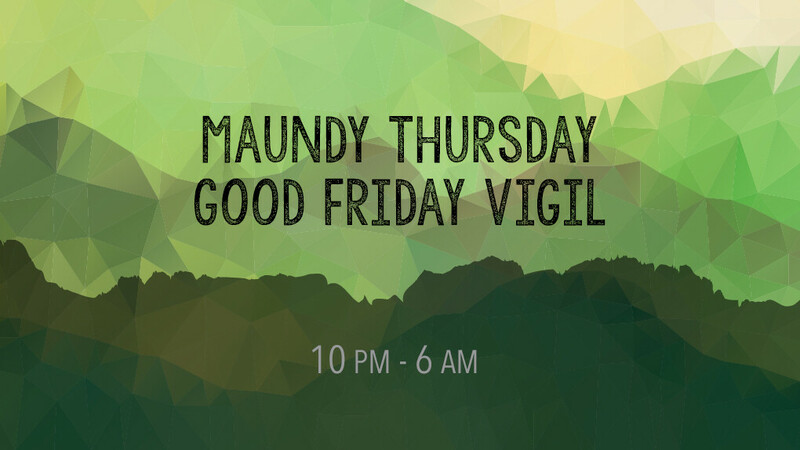 After Jesus had His last meal with His disciples, He asked them to join Him in the garden of Gethsemane, saying “I am deeply grieved, even to death; remain here and stay awake with me.” Come and reflect on our Lord’s night of grief and lament in the garden and keep ‘watch’ for an hour or two throughout the night. This will be a time for people to pray individually, using the Stations of the Cross art and other reflection prompts. You’re welcome to come for an hour or two, or for the whole night.